Are you interested in becoming a Shopmobility Moray volunteer? How about a Director? Details about how you could help are found below. Additionally Shopmobility Moray are currently looking to fill an Administrative Assistant role. Is this the job for you? Details of this job are below. For more information about any of the roles listed on this page please email shopmobilitymoray@gmail.com or call 01343 552528. Assistant to the Co-ordinator in the day-to-day running of the service. Office tasks to include filing, record keeping and basic computing. Participate in training when required e.g. First Aid, manual handling, basic maintenance and use of equipment. When trained, volunteer duties with members e.g. escorting, wheelchair pushing and use of scooters. Capacity to work efficiently and learn new skills to better complete tasks. The ideal candidate will be someone willing and able to train towards relief Co-ordinator duties. This would involve additional hours. In addition, as you could be working with vulnerable adults, a CRBS check would be made. Being a Trustee of a charity can be a rewarding and fulfilling role. 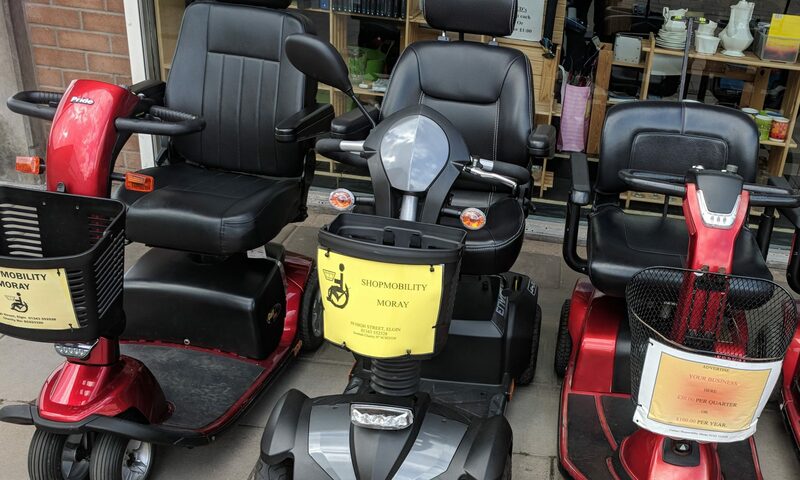 As a trustee of Shopmobility Moray Limited, you will ensure that the charity fulfils its duty to its beneficiaries through overseeing the activities of the charity and managing charity resources (including staff) to deliver on its vision, mission and values. Ensure the organisation applies its resources exclusively in pursuance of its objectives – the organisation must not spend money on activities which are not included in its own objectives, no matter how ‘charitable’ and ‘worthwhile’ those activities are. Contribute actively to the Board of Directors’ role in giving firm strategic direction to the organisation, setting overall policy, defining goals and setting targets and evaluating performance against agreed targets. Protect and manage the property of the organisation and to ensure the proper investment of the organisation’s funds. Ensure that the organisation has a clear vision, mission and strategic direction and is focused on achieving these. Be responsible for the performance of the organisation and for its “corporate” behaviour; ensuring that the organisation complies with all legal and regulatory requirements. Act as guardians of the organisation’s assets, both tangible and intangible, taking all due care over their security, deployment and proper application. Ensure that the organisation’s governance is of the highest possible standard. As well as the various statutory duties, a Director should make full use of any specific skills, knowledge or experience to help the board make good decisions. The above list of duties is indicative only and not exhaustive. The Director will be expected to perform all such additional duties as are reasonably commensurate with the role. Volunteer role, although reasonable expenses can be claimed. To find out more about volunteering and how you can help, please contact us on 01343 552528 or drop in to the shop at 59 High Street Elgin.